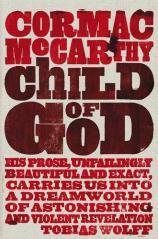 Child of God is a taut, chilling novel that plumbs the depths of human degradation. Lester Ballard, a violent, solitary and introverted young backwoodsman dispossessed on his ancestral land, is released from jail and allowed to haunt the hill country of East Tennessee, preying on the population with his strange lusts. McCarthy transforms commonplace brushes with humanity - in homesteads, stores and in the woods - into stunning scenes of the comic and the grotesque, and as the story hurtles toward its unforgettable conclusion, depicts the most sordid aspects of life with dignity, humour, and characteristic lyrical brilliance. 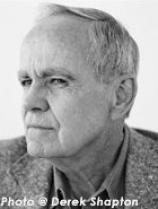 McCarthy charts the terrible decline of Lester Ballard with passion, tenderness, eloquence, and a humour which, at its best, is attuned perfectly to the bitter wryness of the South.